Emma begins her Young Farming Champions journey today as a mentor for the Cows Create Careers program. 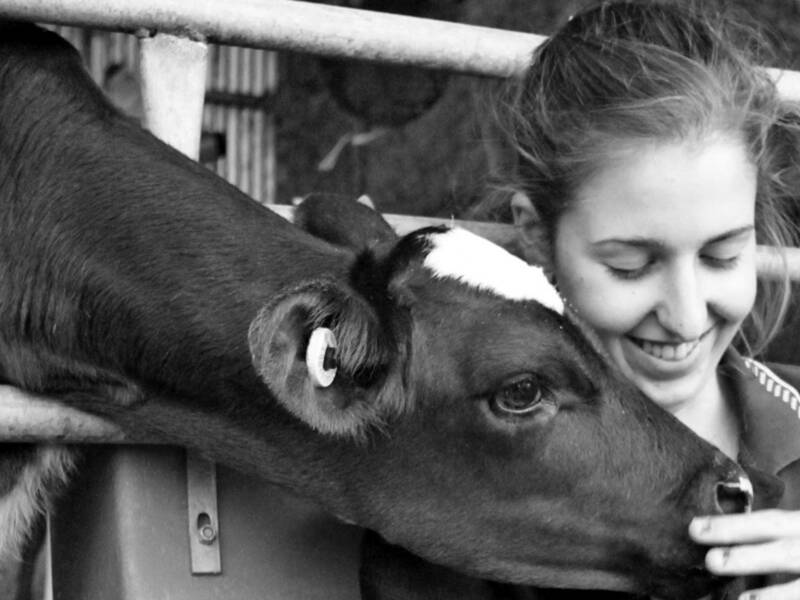 This project creates awareness among secondary school students of the career opportunities in the dairy industry and connects them ‘first hand’ with further education and training links, such as the National Centre for Dairy Education Australia. The six-week project includes rearing heifer calves on the school campus, completing the set curriculum, the involvement of a farmer mentor and an industry mentor, and a presentation day. Its legacy for students is a positive experience and greater awareness of dairying. In her role as a mentor Emma will introduce the project to students in school and assist both the students and teachers throughout the term of the project. The mentor explains to students about their career in the dairy industry and informs students about the education and training required for their career pathway. Emma was introduced to the program 4 years ago when her school participated in Cows Create Careers and is now operation manger at Clover Hill Dairies.